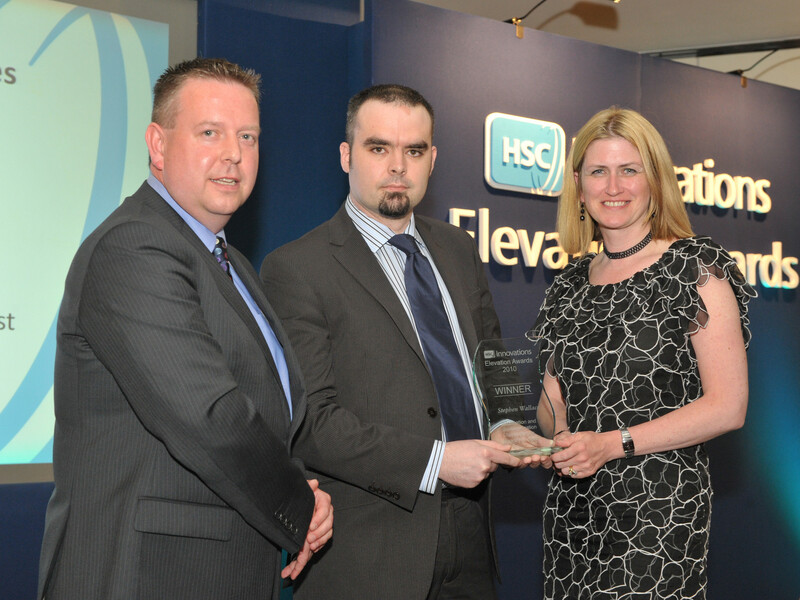 HSC Innovations officially unveiled the top innovators across the Health and Social Care (HSC) Trusts on Tuesday 25th May and rewarded them for coming up with a raft of exciting new ideas to improve patient care. 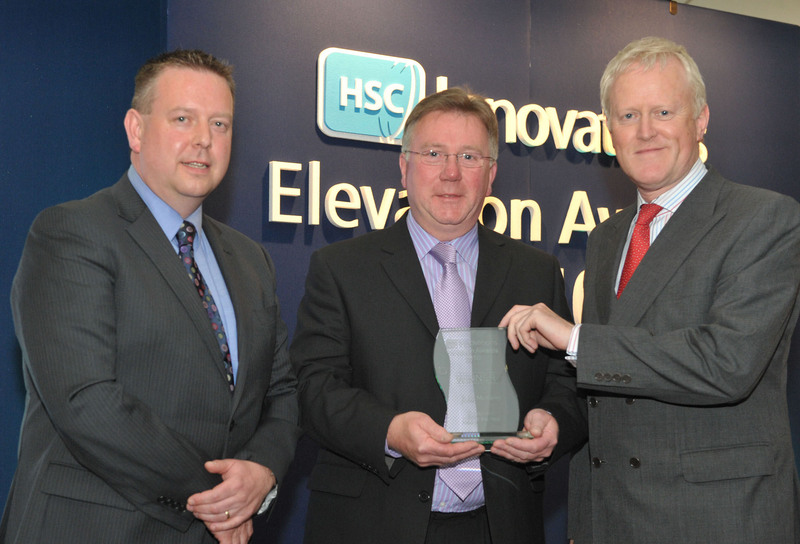 All 60,000 HSC employees – from domestic assistants to surgeons – were challenged in March to put forward innovative ideas to transform healthcare or lead to vital medical breakthroughs as part of Northern Ireland’s first-ever Elevation Awards, organised by HSC Innovations. A total of 12 finalists from across all five HSC trusts were chosen by an expert team of health and business specialists for the inaugural awards, which took place at Belfast’s La Mon Hotel. From these, three entries made the top grade in the specialist categories. Stephen Wallace, an Infection Control Information Officer at the Southern Health and Social Care Trust, won top slot in the most competitive category, ICT Idea of the Year, for coming up with an innovative new way to help hospitals to keep tabs on cleaning and cut hospital-acquired infection rates. Technical Instructor at the Belfast Health and Social Care Trust, John McAuley, took the winning prize in the Equipment of the Year category devising a new product for use in occupational therapy that could save therapists valuable time and enhance patient care. 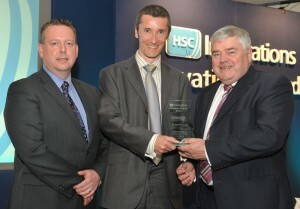 Belfast Health and Social Care Trust also took the lead in the Diagnostics and Pharmaceuticals Idea of the Year category when Clinical Scientist, Dr Derek Fairley, accepted the winning award for developing a novel molecular diagnostic tool which could help in the global fight against bacterial meningitis and septicaemia. The best overall entries from each of the five Trusts were also recognised, with Dr Philip Gardiner from the Western Trust, Patrick Maguire from the Northern Health and Social Care Trust and Rosemary Bird for South Eastern Trust all receiving accolades for their ideas. Stephen Wallace from the Southern Health and Social Care Trust also won again in this category, as did Dr Derek Fairley from the Belfast Trust for his submission. Dr David Brownlee (left) from HSC Innovations and Dr Janice Bailie (right) from the Public Health Agency present Stephen Wallace from the Southern Health and Social Care Trust with the award for the most Innovative ICT Idea. 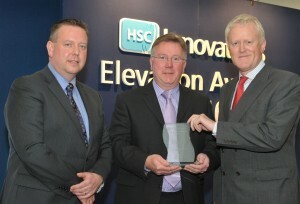 Dr David Brownlee (left) from HSC Innovations and Professor Alistair Fee (right) present John McAuley from the Belfast Health and Social Care Trust with the award for the most Innovative Equipment Idea. Dr David Brownlee (left) from HSC Innovations and Pat McCartan, Chairman of the Belfast Trust (right), present Dr Derek Fairley with the award for the most Innovative Diagnostics and Pharmaceutical Idea.